Big Switch Networks Inc. today announced its upgraded software-defined networking (SDN) offering now supports VMware NSX virtualization. 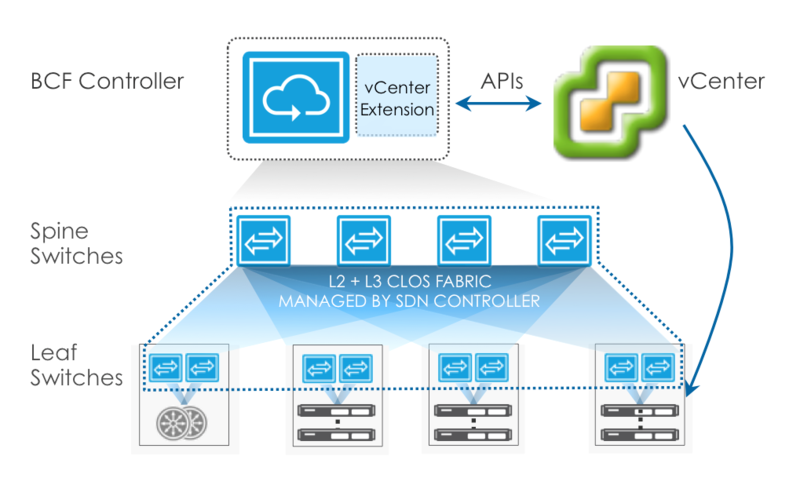 Big Cloud Fabric 2.6 -- which the company describes as "the industry's only open SDN fabric" -- serves as the SDN-based physical fabric, or underlay, to the VMware NSX overlay network. While originally only supporting OpenStack, the Big Switch fabric was upgraded to version 2.5 early this year, adding support for VMware VSphere server virtualization and integrating directly with VMware vCenter for tasks such as automatically creating networks on physical SDN infrastructure. Now, further support for the VMware ecosystem has been baked in as part of Big Switch's mission to transform complicated and proprietary "box-by-box" networking with the modern approach of leveraging open technologies. "The Big Cloud Fabric 2.6 release combines physical network automation and visibility with VMware NSX platform's native visibility and troubleshooting capabilities, with seamless integration with VMware vCenter Server to support any VMware vSphere workload," the company said in a statement today. [Click on image for larger view. 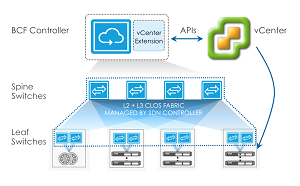 ]Big Cloud Fabric with vSphere Integration (source: Big Switch Networks). vCenter serves as a centralized management platform for working with environments based on VSphere, a server virtualization platform -- also described as a cloud computing virtualization OS -- supporting cloud infrastructure implementations. 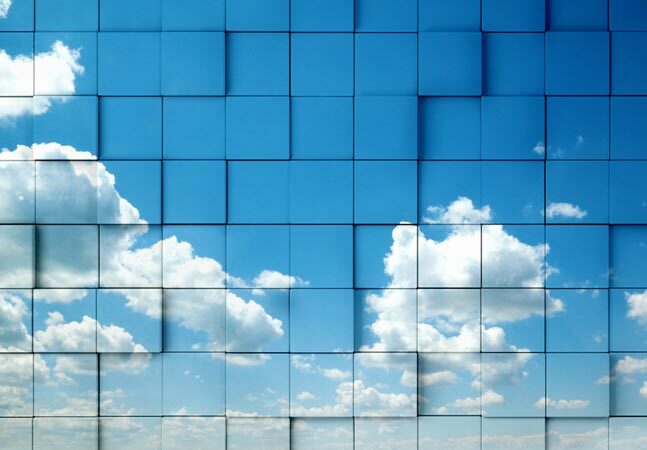 In a blog post today, Big Switch exec Prashant Gandhi noted that Big Cloud Fabric 2.6 was designed for VMware vSphere and NSX, principally in two areas: network automation; and visibility and troubleshooting. Configuration of physical leaf and spine networks is totally automated, he said, with the software automatically adjusting to the creation, deletion or movement of virtual machines (VMs). Regarding the visibility and troubleshooting functionality, the new release includes an improved Fabric Analytics module for peeking into the workings of VMware VMs and host properties. Gandhi expounded on the concept. "The network team has complete visibility to virtualized environments, including hosts and host LAGs, VMs and vMotion events," he said. "This is necessary for rapid troubleshooting during VM connectivity issues. In addition, with fabric trace capability of Big Cloud Fabric across source-leaf/spine/destination-leaf, network admins can quickly identify whether or not an issue is on the physical network. The ability to rapidly root-cause across network and virtualization environment is necessary to quickly resolve issues and minimize application downtime." Licensed on a per-switch subscription model, Big Cloud Fabric 2.6 is available now. The company also offers "starter kits" designed to provide an easy onramp to SDN technologies.